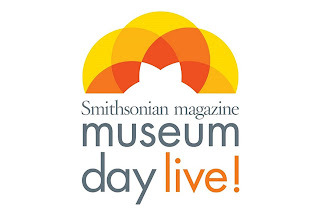 Visitors will receive free admission on September 22 with a downloadable Museum Day Live! ticket. SOUTH WILLIAMSPORT, Pa. (September 7, 2018) – The World of Little League® Museum and Official Store will be providing free entry on Saturday, Sept. 22, as part of Smithsonian Magazine’s 14th annual Museum Day Live! The initiative involves museums throughout the United States emulating the spirit of the Smithsonian Institution’s Washington D.C.-based facilities, which offer free admission every day. Visitors are required to download a Museum Day Live! ticket, which can be found at Smithsonian.com/MuseumDay. “Participating in Museum Day Live! is an opportunity for the World of Little League Museum to be involved on a national level,” said Lance Van Auken, Little League Vice President and Executive Director of the World of Little League Museum. "Museums are a vital part of our culture, and they help to preserve our heritage. TheWorld of Little League Museum is how we tell the storied history of our program and we look forward to welcoming our guests on this special day." The Museum Day Live! ticket is available for download at Smithsonian.com/MuseumDay. Visitors who present the ticket will gain free entrance for two at participating venues on that Saturday. Only one ticket per email is permitted. Additional information about Museum Day Live 2018 and a full list of participating museums and cultural institutions is available at the same site. The World of Little League®: Peter J. McGovern Museum and Official Store, located at 525 Montgomery Pike (U.S. Route 15), is open daily from 9 a.m. until 5 p.m. General admission is $5, children (ages 5 through 12) are $2, and senior citizens (ages 62 and older) are $3. Children four years and younger are admitted free of charge, as well as any Little Leaguer wearing a uniform shirt that includes the Little League official shoulder patch. Additional information about the museum, events and its inclement weather schedule can be found atLittleLeagueMuseum.org or by contacting the Museum at 570-326-3607. Follow World of Little League on Facebook (facebook.com/LittleLeagueMuseum) and Twitter (twitter.com/LLBMuseum). Visitors of Lycoming County are also encouraged to visit the Lycoming County Visitors Bureau website, www.vacationpa.com, or call toll-free, 1-800-358-9900.